?  The house was occupied for five days by Union forces during the Civil War (1, p. 3). 1865-1867  Banksia Hall served as the Federal headquarters for the area during the Reconstruction Period (1, p. 3). The drawing room served as the office. Those who had supported the South in the war were given pardons if they took an oath swearing allegiance to the union and obedience to the laws of the United States. The original oath document still hangs in the house (1, p. 3). 1866  The kitchen was reconstructed. 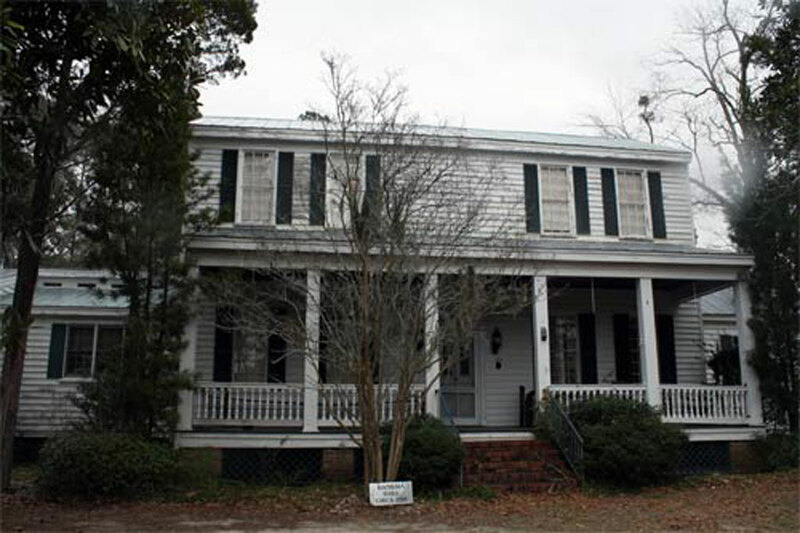 1867  Banksia Hall served as army headquarters for the western lowcountry when the Reconstruction Acts of 1867 were issued establishing military control of the state (1, p. 3). 1868  South Carolina's Constitutional Convention was held and established the new government structure for the state. Only at this point did the military vacate Banksia Hall (1, p. 3). 1869  The house was once again used as a residence when it was purchased in April. Prior to 1900  The columns were added.